Beyond military affairs, one of the marvels of Roman engineering apparently pertained to advanced sanitation. But were the much touted public baths and toilets really the solution for increasing health benefits in a manifold manner? Well a new study conducted by researchers from the University of Cambridge alludes to a scenario which was not as idealized as previously thought. To that end, analysis of fossilized feces and ancient latrines from the period showed that they were infested with large number of parasites – so much so that some species of the microbes (such as whipworm, roundworm and Entamoeba histolytica dysentery) were found to be in greater numbers when compared to even earlier eras. I was very surprised to find that compared with the Bronze Age and Iron Age, there was no drop in the kind of parasites that are spread by poor sanitation during the Roman period. As for the study, the expert went through and assessed previous researches done on the subject that related to the Roman empire’s intestinal parasites. Analyzed by scientists for many years, most of these organisms were sourced from latrine soil, coprolites (fossilized excrement) and even dirt gathered around burial sites that comprised decomposed human remains. Additionally, Mitchell also appraised studies made on Rome’s ectoparasites (the ones that are found outside the body), mostly from extant objects like combs and woolen garments. And to his surprise, the researcher found that the level of ectoparasites were as common in the Roman empire as in Viking populations – people who were not really known for their hygiene. So this naturally raises the question – what was the reason for these rampant parasites to thrive even when countered by an organized sanitation network? Well the answer might paradoxically pertain to the aforementioned bathhouses and latrines. 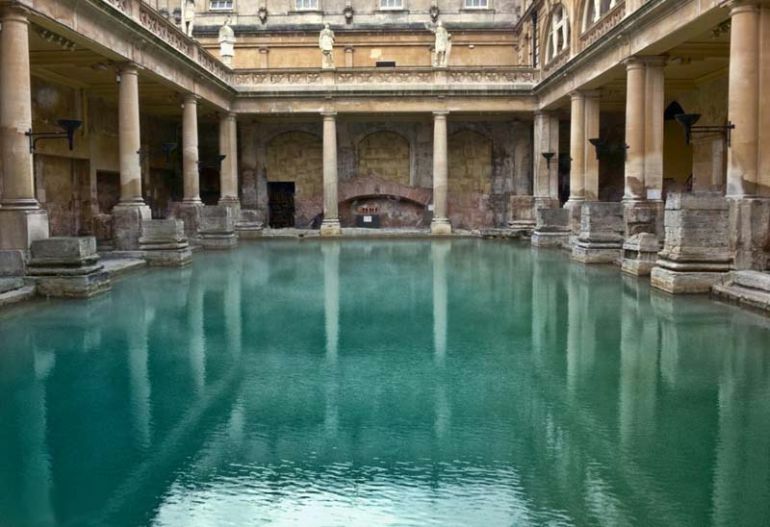 In that regard, the warm waters used inside the baths might have exacerbated the parasite predicament – mostly due to the fact that they were not changed regularly enough. This may have led to formation of scum on their top layers, which in turn made it conducive for the organisms to spread and reproduce. Another hypothesis relates to how the Romans might have used the hauled human excrement as fertilizers for growing crops in the rural areas. While surely being beneficial for higher agricultural produce, the use of such organic matter once again possibly started the cycle of reinfection among the populace. Also researches have already established how fish tapeworm eggs were widespread in the burgeoning Roman realm. To that end, there is always the conjecture surrounding the renowned garum – a variety of uncooked and sun-fermented Roman fish sauce concocted from fish, herbs, salt and and an assortment of flavorings. Supposedly favored by citizens from all walks of life, the renown of garum might help in solving the mystery behind the prevalence of tapeworm parasites in the empire – which was more than even the previous eras of Bronze and Iron Age. Interestingly, beyond just modern-day assessments, there are historical evidences of how Romans were aware of the parasite problem affecting their health. For example, noted ancient physician, surgeon and philosopher – Galen of Pergamon (or Aelius Galenus) described how ‘helminths [parasitic worms] were formed from spontaneous generation in putrefied matter under the effect of heat’, according to Mitchell. Galen, who practiced his profession in the Roman empire, even offered solutions to tackle their harmful effects – and these included special diets, bloodletting and medicines. Furthermore, Romans also used specifically designed combs to get rid of ectoparasites like lice and fleas. I would not say that these technologies were useless. 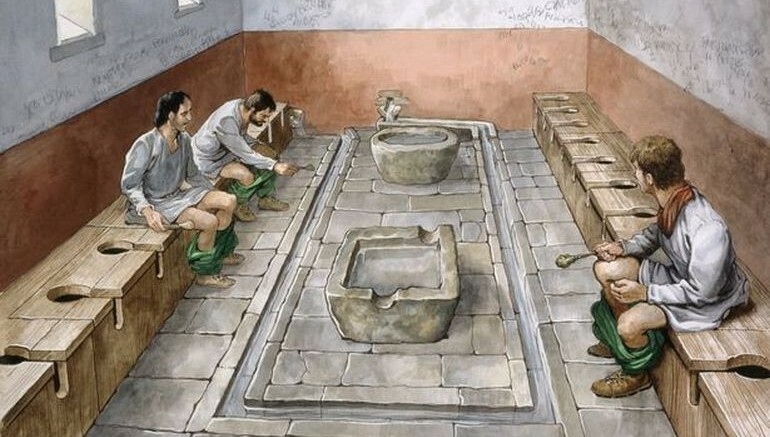 Public latrines would be been convenient in town while public baths would have made people cleaner and smell better. It is just that they do not have appeared to improve health in the way we might expect and we must ask ourselves why. The study was originally published in the journal Parasitology.